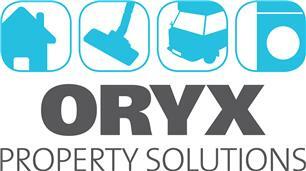 ORIX Property Solutions has been operating for a number of years and began offering a simple handyman service. Demand quickly grew and additional services were added to help provide a one stop shop for customers who were looking to maintain or improve their property. We provide anything from small repairs to full Property refurbishments. With the property market constantly changing, we have seen an increase of customers looking to improve and expand their homes which often means different levels of work that is required at once. We are competitive in price without compromising on customer service or quality and our small but dedicated team will ensure that your needs are met. We currently cover much of South London, however our main customer base is located in Battersea, Wimbledon, Clapham (North and South), Balham, Colliers Wood, Wandsworth, Chelsea and Fulham as well as parts of Surrey such as Purley, Wallington, South Croydon, Coulsdon and closely surrounding areas. All work covered including Bathroom Fitting, Kitchen Fitting, Full Refurbishments, Internal/external Painting and Decorating, Leak repairs, Furniture transport, Professional and Domestic Cleaning, Appliance sales, repairs and servicing. We work with a number of well known Property Agents and Managing agents where a timely, competitive and professional service is key. References can be provided upon request as well as images which can be found on the "Gallery" section on our Checkatrade Profile. Call us today if you would like us to provide a free, no obligation estimate!